Tameer Towers is a mixed-use development for Tameer Holding Investment, a major private property developer in the UAE and Gulf region. 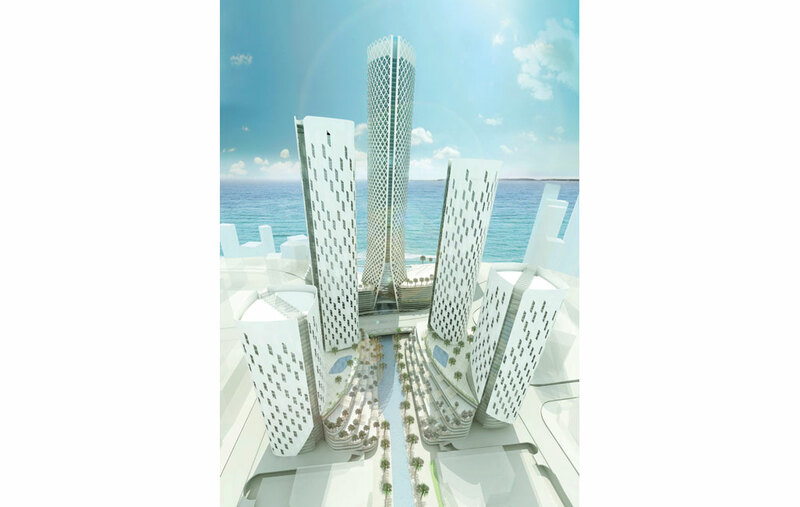 Located on the prestigious Reem Island Abu Dhabi, this project is one of the main anchor landmark developments and comprises a commercial tower and four residential towers ranging from 42 to 62 storeys and resting on a podium of stepped garden townhouses. Additionally, there is a five-star hotel component flanking the development to the southwest, and a vibrant canal promenade. Appointed in 2007 by Gensler UK, the internationally renowned lead design architects, Diar Consult was the architect of record responsible for design review and code compliance (all disciplines) as well as all permitting and local authority licensing for this iconic project. Construction started on the first phase of the residential component in 2010, but is currently on hold.